Report: A number of patients were given lower chemotherapy doses. A report has found that breast cancer patients in Tayside were 'treated differently' than those from other NHS areas in Scotland. A review was requested after it was revealed that NHS Tayside had given a number of patients a lower dosage of chemotherapy than they would have received in other Scottish health boards. The independent review group, commissioned by Scotland's chief medical officer Dr Catherine Calderwood and chief pharmaceutical officer Rose Marie Parr, was tasked with producing a risk assessment of the impact that clinical practice variations at the health board could have on patients. More than 300 breast cancer sufferers were given lower chemotherapy doses between December 1, 2016 and March 31, 2019 by the health board, of which 14 patients later died. The report states: "It appears that patients in NHS Tayside are being treated differently from patients in the rest of NHS Scotland with chemotherapy in the adjuvant and neo-adjuvant setting. "The decision to treat differently lacks robust evidence or multidisciplinary consultation." The report also noted: "Breast cancer patients in NHS Tayside were not informed during the consent process of these variations in clinical practice." 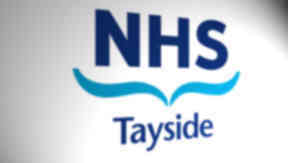 The group recommended that a review of medicine governance, decision making and sign-off processes at NHS Tayside is carried out. Chief medical officer Dr Catherine Calderwood said: "I absolutely recognise that current and former patients, and their families, may be concerned and have questions with regards to their treatment," said Dr Calderwood. "It is important that anyone who has concerns about their treatment speaks with their oncologist. 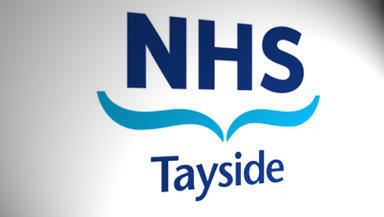 NHS Tayside has been in contact with all patients affected to offer them an appointment with an oncologist. "The Scottish Government welcomes NHS Tayside's acceptance of all of the recommendations of the previous Healthcare Improvement Scotland (HIS) report. "The board is now developing an action plan to implement these urgently, and is also considering the recommendations of the Immediate Response Group report that has been published today. "The key change is that the breast cancer chemotherapy dose regime is being adjusted to make sure patients are offered the same level of treatment as the rest of Scotland." Professor Peter Stonebridge, NHS Tayside acting medical director, said: "We fully accept the findings of the Immediate Response Group (IRG) report which was commissioned by the Chief Medical Officer and the Chief Pharmaceutical Officer. "We have taken immediate action in response to the IRG report and the Healthcare Improvement Scotland (HIS) Report which was published earlier this month. "The key change is that we have adjusted the breast cancer chemotherapy dose regime to make sure patients in Tayside are offered the same as those in the rest of Scotland. We will also be offering Oncotype DX testing to eligible patients. "We can also confirm that we have been back in contact with all patients affected to offer them an appointment with an oncologist, and all but 13 of those who want to take up the offer of an appointment have already been booked in to a clinic. "A number of patients have already been seen by an oncologist and we have written again to those 13 patients who have not yet been appointed and we are awaiting their response. "Patients and their families should be assured that we are taking this issue extremely seriously and putting in place all the necessary changes to ensure we provide a high-quality breast cancer service in Tayside."